AFC Bournemouth’s official Fantasy Premier League mini-league has a new leader following the end of Gameweek 5. 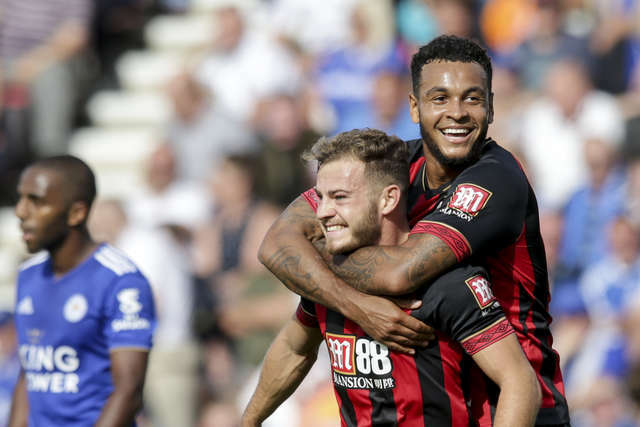 Ryan Fraser was key to those who put faith in starting the midfielder against Leicester City on the weekend, and he’s not the only Cherries player worth keeping an eye on in the coming weeks. The league has a new leader in Ampadu Dapo who picked up an impressive 108 points, in no small part due to his decision to triple captain Eden Hazard. That move bagged him 60 points from a single player as Chelsea’s danger man scored a hat-trick at home to Cardiff City. He also earned four points from Cherries forward Callum Wilson, who got one assist in Bournemouth’s big win on Saturday. 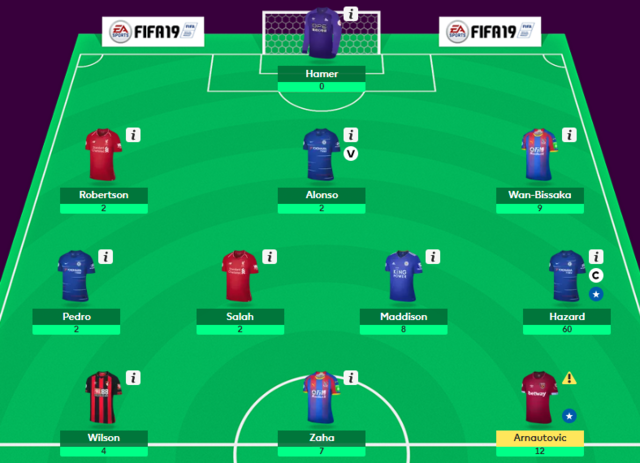 Going strong on 409 points, Ampadu won’t be resting on his laurels, as Steve Tuffin breathes down his neck in second place on 407 points, the latter profiting from Ryan Fraser’s 18-point haul against Leicester. The pair of them will be keen to top the table come the end of Gameweek 8, when our second monthly winner will earn one of our prizes! Damir Smailovic currently sits 120th in the mini league, but had the strongest week out of anyone in the division with 113 points. Wildcard played, he too benefitted from Fraser’s two goals and assist. Forecast as an injury concern prior to Gameweek 5, those who chose not to bench the Scotsman enjoyed a big return as he got on the scoresheet twice and set up Adam Smith’s goal to pick up 18 points. He’s now scored six or more points in three of the Cherries first five league games, making him Bournemouth’s highest scoring player in the game so far with 39 points. His current form makes him one of if not the first name on the team-sheet, and with a team ownership of only 10.2 percent at a price of £5.6m, his inclusion in your team seems a no-brainer. Josh King and Adam Smith were Bournemouth’s other high-scoring players in Gameweek 5 thanks to their goals against Leicester. With four of the Cherries next five games presenting a Fixture Difficulty Rating of two or lower, now could be a sensible time to invest in Eddie Howe’s side. Aside from Fraser, Josh King remains a good choice as the Norwegian looks set to continue his penalty-taking duties. King still has three fewer total points than Callum Wilson, who has offered consistency with at least one goal or assist in four of his first five games, playing the full 90 minutes in all of them. With both priced at £6.3m, it presents an interesting dilemma for those looking to make the most of Bournemouth’s good form. Elsewhere in the Premier League, Eden Hazard was the highest scoring player this weekend with 20 points, while Andriy Yarmolenko’s two goals for West Ham against Everton earned him 13 points. One high-scoring player who has flown under the radar so far is Wolves defender Matt Doherty. A slim team ownership of 1.2 percent made him a great differential over the past two Gameweeks as his side earned two clean sheets, while individually he managed an assist in their 1-0 win over Burnley on Sunday.